Data-driven marketing has become an essential part of a complete marketing toolkit in recent years. Google Trends confirms its popularity with a constant and consistent uptick in search volume. Grass-roots initiatives like the Mobile eCommerce Optimization Initiative show us that data is not only accessible but offers a direct line to revenue growth for eCommerce merchants. It’s clear. Data-driven marketing is far from being a fad. However, in order to make strategic decisions, we must understand how to use data to deliver better results. One large advantage that online marketing has over its offline counterpart is tracking. This is where data, if used correctly, comes into play. Some of the challenges eCommerce companies face today are quite similar to their brick and mortar predecessors—converting shoppers into customers. Armed with data, however, online sellers can observe shopper behavior and refine their site based on that behavior to help turn shoppers into converted customers. A conversion optimization strategy is a process-oriented and systematic approach to gradually improving conversion rates and revenue on a website. 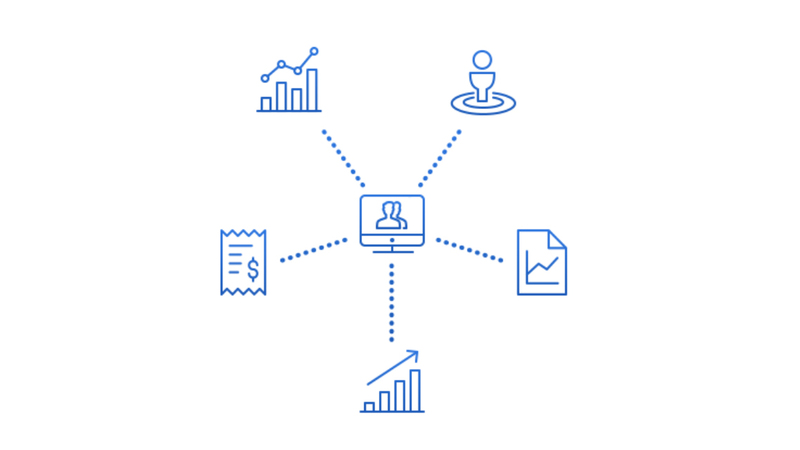 While data is essential, your business decisions should also be backed by an underlying strategy that involves: context, collective know-how, best practices, and all-around business activities. Looking at sales orders, transaction, and revenue at the transaction level alone is not enough to understand the full customer experience. While every marketer craves customer data, you need the right data to illustrate the full picture of the customer. A fragmented data approach is not going to tell the full story. Drop, bounce, and exit rates, for example, may not be a product of web experience but due to past customer-service-driven experiences. Multi-variant experience optimization experiments tested across a community of diverse Magento users can provide accelerated learnings and offer improved conversions across industries. Comprehensive, unified analytics make an ideal starting point to identify friction points in your customers’ journey. Taking your data driven insights and leveraging multivariate testing to validate proposed enhancement provides an ideal platform for data-driven improvements. There are many tools for testing and customer experience analysis to get real-time feedback on performance and customer behavior and engagement; and it is our job to use the most effective tools in the most effective fashion to provide a positive experience for our customers. Follow a strategy, not a false trail of numbers. Every merchant is different, and each merchant serves a unique audience of customers. Keep an eye on the bigger, broader framework of customer experience through all digital and in-person touch-points. Best practices should be taken with a healthy level of skepticism, as conversion improvements that work for one merchant may not work for another. With some of our recommendations to guide you, don't forget to get creative! And trust us, getting creative is the best way to personalize your site. As a participating System Integrator in Mobile eCommerce Optimization Initiative—a global effort to improve mobile eCommerce—we’re seeing firsthand just how much creativity can drive revenue. Since launching the Initiative last year, PayPal has collected data on over $250 million in revenue across 3 million transactions. The results of which are showing that simplicity is key to winning the mobile eCommerce race—meaning that any efforts you can take to reduce friction for your mobile shoppers can have a dramatically positive impact on your revenue. Take, for example, the Initiative’s Zip Code Autofill experiment—a simple feature that automatically detects a shopper’s zip code information thereby reducing the number of manual information they need to input. By adding this experiment, merchants have on average seen a close to 7% lift in their RPV—impressive results for a simple move in personalization. And, many other experiments are showing similarly positive results. If you’d like to see how these simple changes can help you, sign up to join the Initiative. To learn more about Imagination Media and their approach, watch their on-demand webinar “Boost Conversion Rates with Data-Driven Improvements” and dig deeper into this topic. Ivona Namjesnik is a Marketing and Sales Director of Imagination Media. She thrives on solving business puzzles through a creative approach to innovative technology. Her work comprises of finding the best ways to present Imagination Media and the results they achieved for the brands with whom they partnered on transforming their eCommerce business. As a full-stack agency specializing in Magento development, complex integrations with retail and ERP platforms, omnichannel commerce solutions, and custom development, Imagination Media is able to meet the needs of a wide range of clients in the small-mid-enterprise space. Their uniquely devoted team of Magento Certified developers generates measurable results while guiding brands along their growth path. Find them on Twitter!